A wedding is Rome is full of the charm of history. Monuments, museums, and the majestic churches will be the perfect frame for the best day of your life. Rome is an extraordinary open-air museum. Discover the over two-thousand-year-old history, art and culture and the unique charm of the “Eternal City”. A real treasure trove of breathtaking architectural glimpses, superb artistic masterpieces, majestic historical buildings, and a long culinary tradition. Rome is a unique location to organize very exclusive events such as outstanding weddings in Rome. Beautiful panoramic terraces, with a romantic view over the Roman monuments, in a luxury grand hotel, in a refined gourmet restaurant or in an ancient noble palace, rich of history and charm. Rome is really a wonderful city for a wedding in Italy. Every square and every street is so beautiful, historical and picturesque that every picture will turn out just perfect. The charm and history of the location are simply magical! One of my favorite location for photo shootings is the Capitoline hill. The design of the Capitoline hill, in Italian “Piazza del Campidoglio” and the surrounding buildings, was created by Renaissance artist and architect Michelangelo. At the peak of his fame, he was engaged by the Pope Paul III, from the Farnese Family, who wanted a symbol of the new Rome. The pavement of the piazza is a super perspective masterpiece and the buildings around are a wonderful frame for every photo shooting. The statue of Marcus Aurelius greets the visitors and the newlyweds to the square and points them toward the beautiful view of Rome that you get from the hill. Rome is not only famous for art and history but also for its culinary tradition. You and your guests will taste the authentic Rome’s flavor in the most traditional trattoria’s of Trastevere in the heart of the city. Trastevere is the area where all Romans go for a drink, to chill out and meet friends. The atmosphere is very relaxed and informal but the food is top! Let me book you my favorite trattoria in Trastevere to entertain your friends the night before your wedding in Rome. We will decide the menu together based on your tastes and your guests’ preferences. I will make sure that every detail is taken care of and that everybody is satisfied. Surely the historical charm of Rome will conquer everyone! 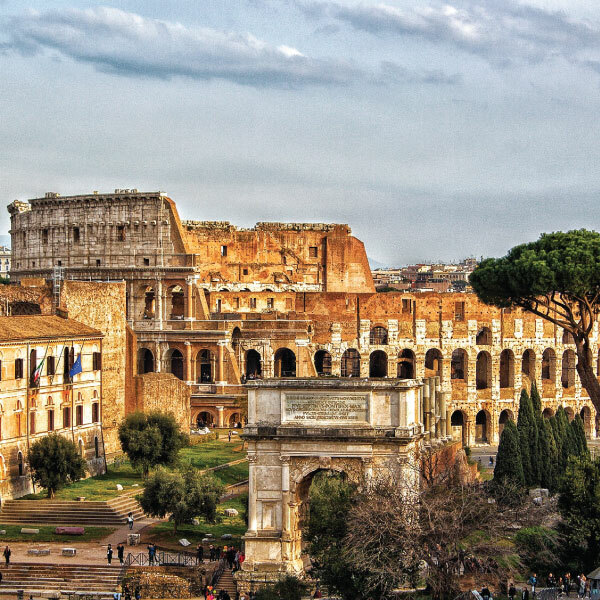 After more than 2,300 years of life, Rome offers enough things to do, see, and explore to keep you busy for years! 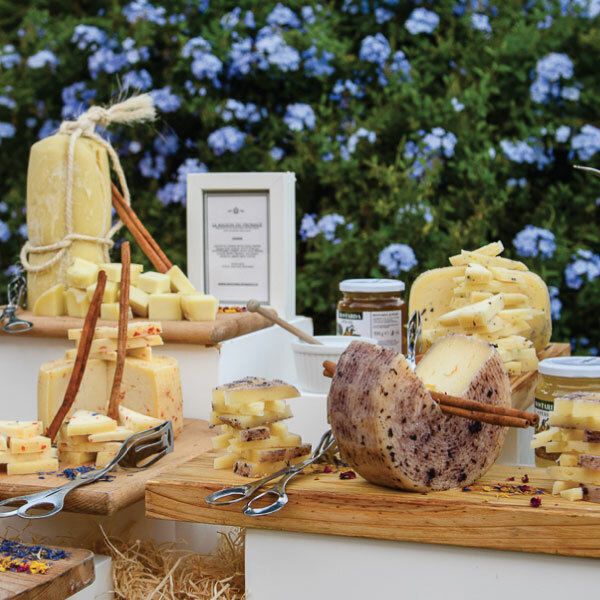 With decadent pasta and gelato to indulge in, places to shop for everything from handicrafts to haute couture, archeological sites, Baroque churches, villas-turned-into-museums, and enough art to overload your senses. Together we will plan a wedding in Rome that includes VIP passes to access museums skipping lines, private gelato classes and the special opening of boutiques and antique shops. Everybody knows Trevi Fountain, right? Let’s have a midnight toast with chilled champagne together with your friends or a super early breakfast in front of the fountain when there is nobody around. 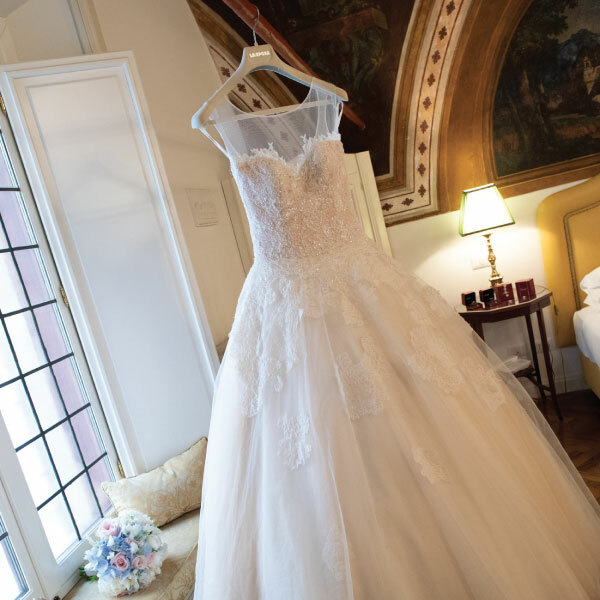 I am here to assist you and to make your wedding in Rome the best day of your life. 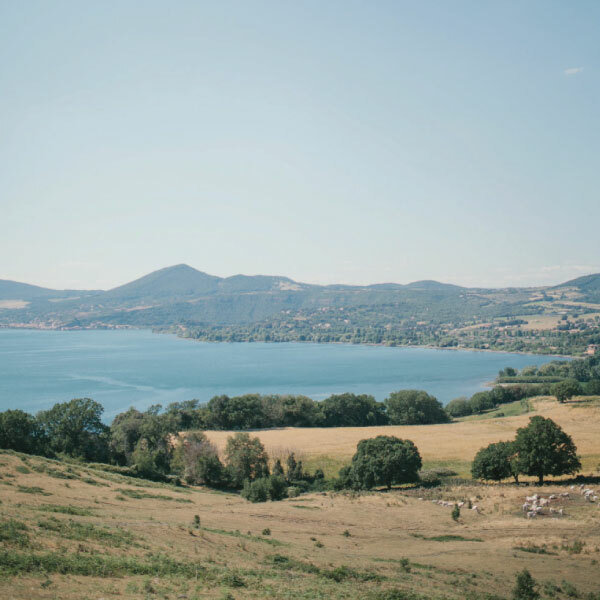 If you love Rome but prefer a more intimate and quiet wedding in Italy, Lake Bracciano might be an interesting destination for you and your guests. The lake is just 40 kilometers away from Rome: Bracciano is close to the international airport and to the city but is also very intimate and tranquil. The countryside is beautiful and the area surrounding the lake is very picturesque. Check the Gallery to see the pictures of the last wedding I organized on Lake Bracciano.